“Who Wants to Be a Mathematician” is a national high school competition held annually in America, involving more than two thousand students. 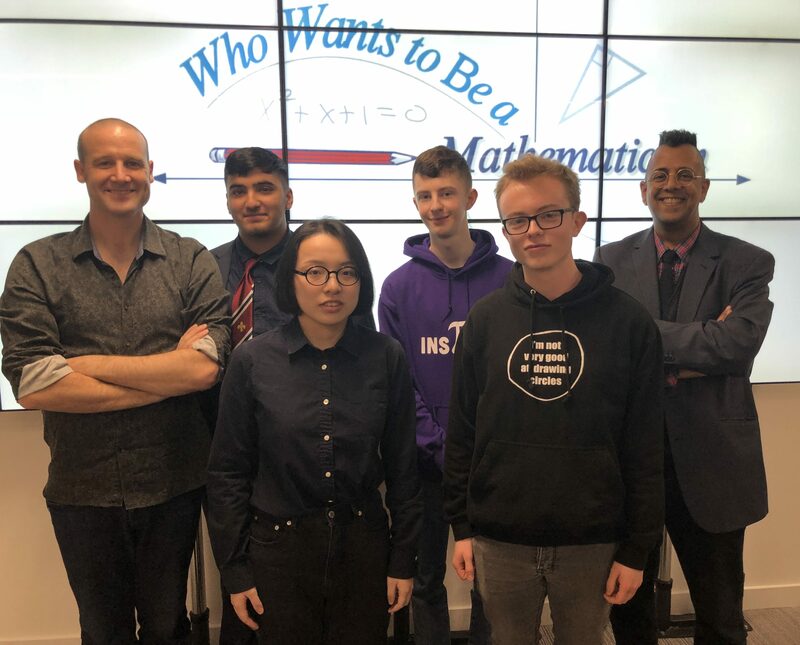 Back in January 2016, Good Thinking’s Simon Singh was lucky enough to attend the final in Seattle, and in autumn 2016 we worked with Mike Breen, the AMS and Matt Parker to run a UK version of the competition. In 2017 we ran the competition again, with our UK winner attending the international final in California. 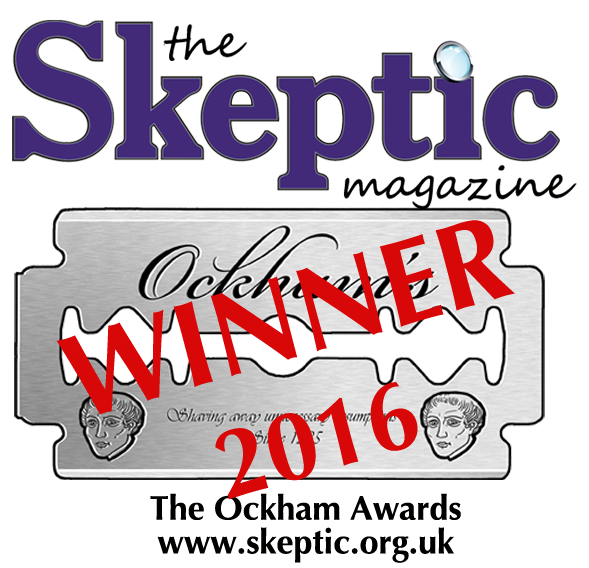 You are too late to join our 2018 competition, but you can email us if you want to be on our mailing list for next year. You can find out more in the links at the bottom of the page. 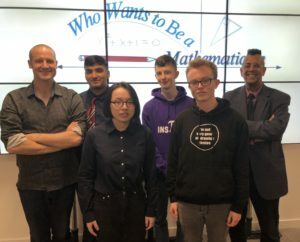 Our 2018/19 winner Olivia Guo, along with fellow finalists Paul Scarr, Zaka Ahmed, and Jordan Baillie, pictured with Matt Parker and Simon Singh. August 17th 2017: Who Wants to Be a Mathematician is back!